… Shall stay the shooter from the delivery of his appointed rounds. Of .308 Winchester that is. Forum member Mike (“TheSilverFox”) from Alberta, Canada, recently went out for some ranging practice with his Clay Spencer-built .308. Despite freezing temps and gusty winds, Mike successfully made hits on targets beyond 800 yards. 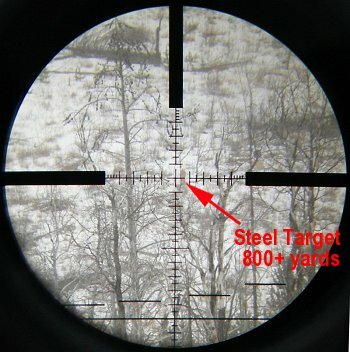 Exact target distance was unknown and Mike had to range them, using the Mil-marked reticle of his 5-25x56mm Schmidt & Bender scope. 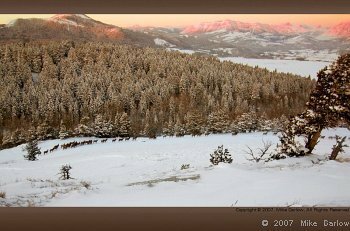 Mike posted a nice report with some great winter-time photos in our Forum. We’ve put that together as a winter shooting “Photo Essay” that you might enjoy. One look at those conditions, and you can feel the chill in your bones. CLICK HERE for WINTER SHOOTING STORY. We have to give credit to Mike for braving the elements. Shooting from the snow-laden bed of a pick-up truck in the dead of winter takes real dedication. Note to readers: People have been asking for more frequent feature stories on the site. This shows what can be done if readers submit GOOD PHOTOs and a nice storyline. Submit stories to mailbox [at] 6mmBR.com. Keep sample images under 300kb (but save your hi-rez originals!). 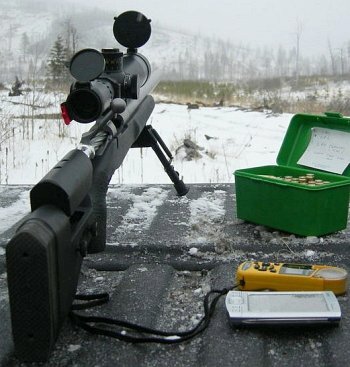 Share the post "Neither Snow, Nor Sleet…"
Our friends at Berger Bullets keep coming up with new, high-quality projectiles for precision shooters. Berger has just announced a new line-up of .270-caliber VLD bullets designed for long-range hunters as well as target shooters. 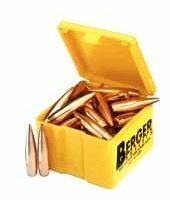 Share the post "New .270 Bullet Line-Up from Berger"